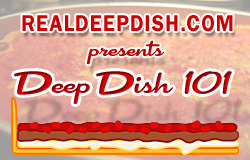 Follow Real Deep Dish on Facebook for more frequent updates! and then keep reading this post for first time tips and advice. DEEP DISH PIZZA RECIPE – CLICK HERE! 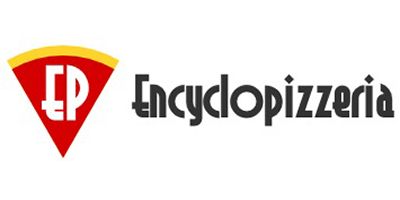 looking for more pizza related content? 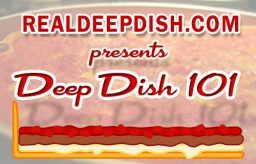 Follow Real Deep Dish on Facebook! See pizzas I’m baking, get occasional tips and tricks, and pizza adjacent links and stories. Deep Dish 101 has just begun! CLICK HERE to start your lessons! 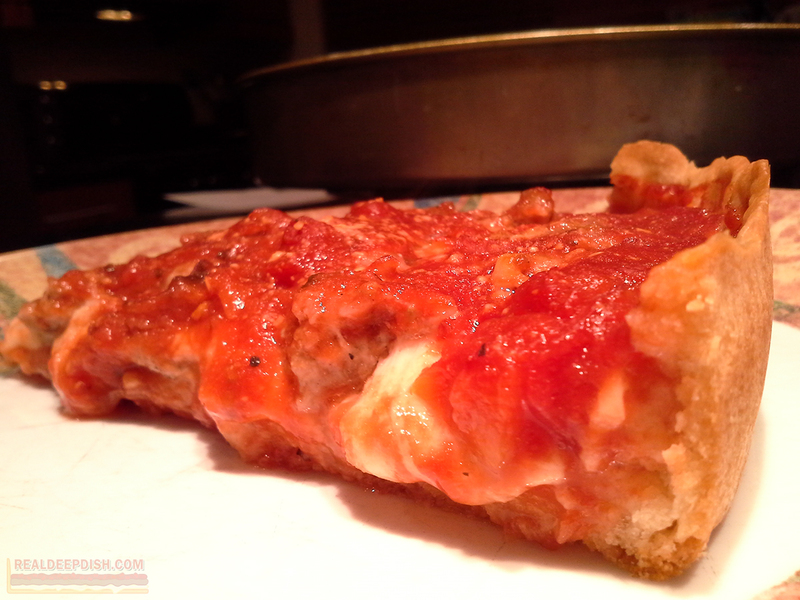 REAL DEEP DISH CHICAGO STYLE PIZZA RECIPE . READ THE RECIPE ALL THE WAY THROUGH… TWICE! It doesn’t take very long to make deep dish if you have all of your ingredients and equipment ready to go, but don’t set yourself up for failure by trying to grab all the stuff at the very last second. You can make deep dish pizza dough that’s ready to use in as little as 90 minutes (although a 2 hour rise is recommended). RDD “QUICK DOUGH” all purpose Chicago Pizza Dough recipe! 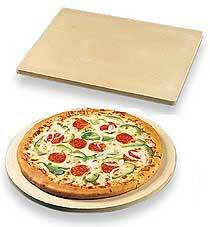 • While your dough finishes rising, pizzafy and preheat your oven. • While your oven is preheating, get out your hardware: a deep dish pizza pan, serving spatula, pan gripper (or potholders if you don’t have a gripper), and a trivet or extra potholder to go under your hot pizza pan. Are your tomatoes on the watery side? Now would be a good time to drain them. It’s also a good time to cut up any veggies or slice up your cheese, if yours isn’t pre-sliced. 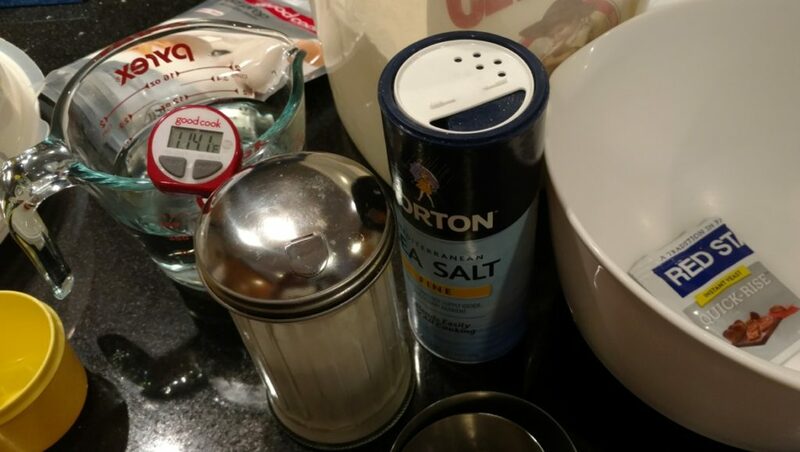 • It can take 5 to 15 minutes to build your pizza, so when your oven is preheated (or if you have a pizza stone which has been heating for at least 45 minutes) spray the bottom of your pizza pan with a little cooking spray; then press out your dough. • Cover the bottom with overlapping slices of mozzarella, dot the pizza with bits of raw italian sausage (and/or pepperoni) to cover; then cover completely with crushed tomatoes. Take about 1/8th cup grated romano/parmesan into your hand, raise it up about 12 inches above the pizza, and sprinkle the cheese over the top like snow. You don’t need much. Now your pizza is ready to go into the oven. • When your pizza is ready, let it rest for about 5 minutes before cutting into it so the liquids don’t go spilling out all over. If your pizza does weep a bit after that first slice, there’s a solution for that too (fun with paper towels!). So now you have some tips and you’ve got the recipe. I’m always testing to make this recipe better. Did you like one of the older versions of the recipe? 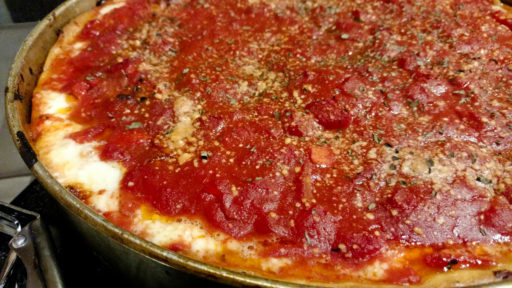 School yourself on Chicago Pizza! “I could ORDER some frozen deep dish or stuffed pizzas and let THEM ship them nation-wide for me! You know what? That’s totally cool with me. BTW, I don’t make a penny by telling you about these (unless you ordered from the amazon link below), but this is the kind of information that I think you’d want to know. If you know any other Chicago pizza restaurants that ship their pizzas nationwide, please let me know and I will consider adding them to the list. The Lou’s are 9 inches and Uno pizzas are 10 inches in diameter. If you’re looking for that Chicago Deep Dish Pizza Quick Dough Recipe that I’ve been sharing on the RDD Facebook page, here it is, with baking percentages (from the Pizzamaking Dot Com dough calculator). This is that “I want deep dish pizza tonight, but I don’t want to wait a zillion hours for the dough to ferment and rise” kind of quick dough. Give this dough at least 45 min. to an hour to rise, while you preheat your oven. (or maybe a 9 inch stuffed, or two 10 inch thin crust pizzas). Okay, I have all my ingredients ready. Now what do I do? Empty the yeast and sugar into the bowl. Add lukewarm water (around 105° to 110° F / or 41° to 43° Celsius ). Try not to go over 130° F.
Drop salt (and any herbs or garlic powder or spices you might want to add) on top of the oil. Add the All Purpose flour. FOR DEEP DISH: Knead only until dough comes together into a ball – total mix & knead time: 2 minutes. If the dough is a little shaggy, that’s fine. Do not over-knead deep dish dough. *If your arms are still attached, you may still have more kneading to do. Also, you may want to consult your physician for any kneading related injuries. Coat dough ball with cooking spray and cover bowl with plastic wrap or a towel. Let dough rise in a warm place for about an hour. **If you let the dough ferment longer than 48 hours, you’re essentially making something like sourdough or on your way to something beer-adjacent. I made too many batches of Quick Dough. Can I put this dough in a zip-top bag and use it later? Yes, you can. You should be OK using it a day or two later, just make sure to warm up the dough before you try to press it into a deep dish pan or roll it out for thin crust. Am I really using a WHOLE PACKET OF instant yeast?! Yes, you’re really using a whole packet of instant dry yeast (IDY). The wonderful yeastiness will help make up for the short amount of time you’re giving the dough to rise and develop those flavors, and also boost the rise. If you’re not in such a hurry to bake your pizza today, or are planning on refrigerating this dough for future use, you could cut that yeast amount in half. 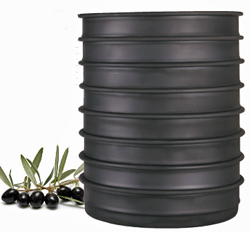 you may want to cut your oil amount in half as well, from 1/4 cup to 1/8 cup. Want to make your own dough formula? Plug your ingredients into the PMDC deep dish calculator. post comments below or join in on the fun on the RDD Facebook Page. Here are some of the items (or similar recommended items) that I used in the video. The mixing bowl with the non-skid bottom is one of my favorites.